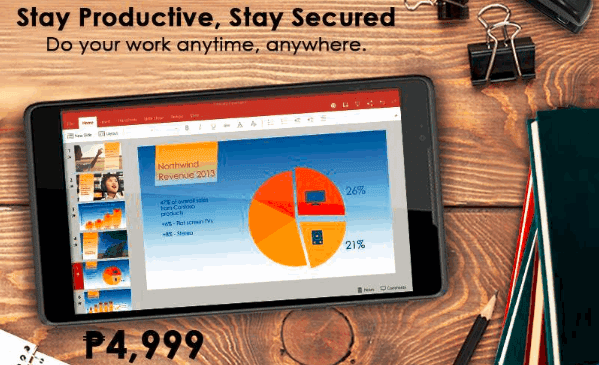 If you're getting tired of all the Android devices that are now flooding the market and you're currently looking for a cool two-in-one gadget that you can use at school or at work, you might want to check this fresh release from Cherry Mobile. 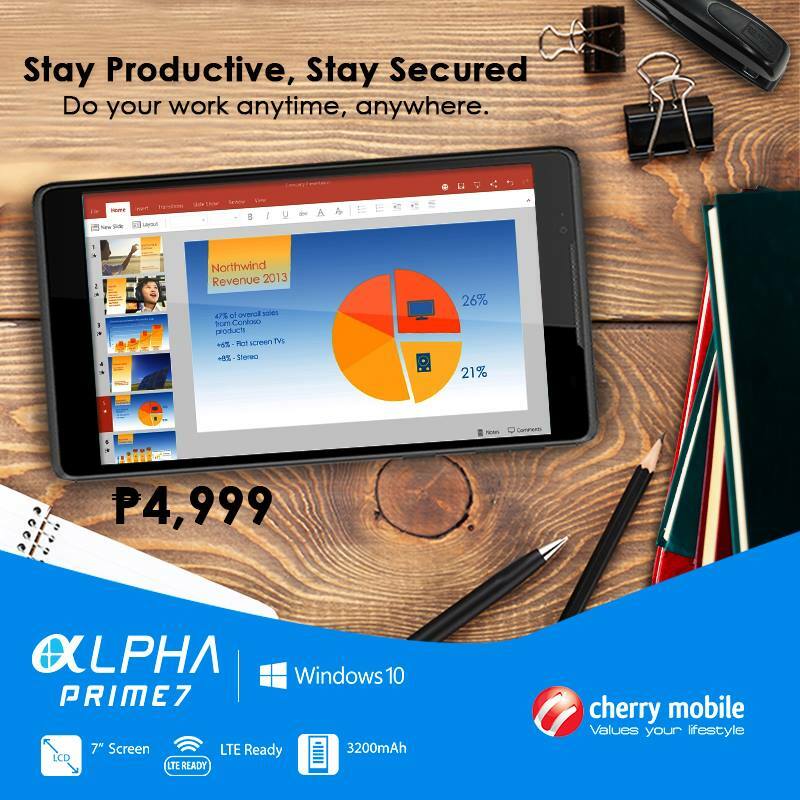 Unlike almost all other 2016 tablet-smartphone hybrids that are in its price echelon, Cherry Mobile Alpha Prime 7 runs Microsoft's Windows 10 Mobile operating system, allowing you to get your hands on the Redmond Giant's unique experience for the mobile platform. Although lacking an app store that's as big as that of Android or iOS, Windows 10 Mobile nonetheless comes with several cool features including Cortana virtual assistant, the secure and fast Microsoft Edge browser, and Continuum that lets you connect the slate to a TV or monitor and then, use it as a PC. As for specs, the Alpha Prime 7 sports a 7-inch 1024 x 600 pixels capacitive touchscreen display, 5 MegaPixel main camera, 2MP front cam, and a non-removable 3,200 mAh battery pack. It's single microSIM card slot supports voice calls, text messaging, and HSPA+ and 4G LTE mobile connectivity. Under the hood, it is powered by a 1.1 GHz Quad Core ARM Cortex A7 and Adreno 304 based Qualcomm Snapdragon 210 MSM8909 chipset, has 1GB of RAM for multitasking, and comes with 8GB of expandable storage. Cherry Mobile Alpha Prime dons an official SRP of Php 4,999. This refreshing phablet is now available at all CM Concept Stores, kiosks, and authorized retail outlets across the country. I bought one and I am starting to enjoy my eBook reading, wide screen and text easy to read. The games are mind worthy. The price is right and the brand "alpha" seems dependable because I already bought two alphas two years ago and still working.